Product version: v1.1.2, last updated: October 10, 2018. WooCommerce Give Products is a WooCommerce Extensions being developed by Woothemes. 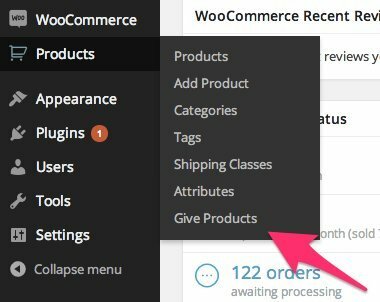 WooCommerce Give Products allows you to give products to a user with a free of charge order, without going through the entire checkout process. WooCommerce Give Products is a great extensions if you want make giveaway to customers.